Arravani horses are from Greece and are in danger of extinction; there are only about 200-300 of them left in the world today. 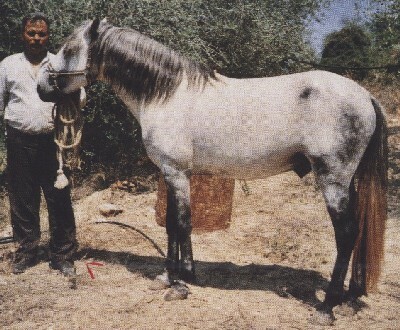 Arravani horses are influenced by Egyptian Arabians, Medern, Greek Thessaliern, Roman horses, and Turkish Arabian bloodlines. They are personable and comfortable to ride. For thousands of years they were used as agriculture workers by local farmers and for transporting loads over stony mountain paths. The introduction of motorized vehicles saw a decline in their use that much of the stock was sold off as meat to Italian suppliers.